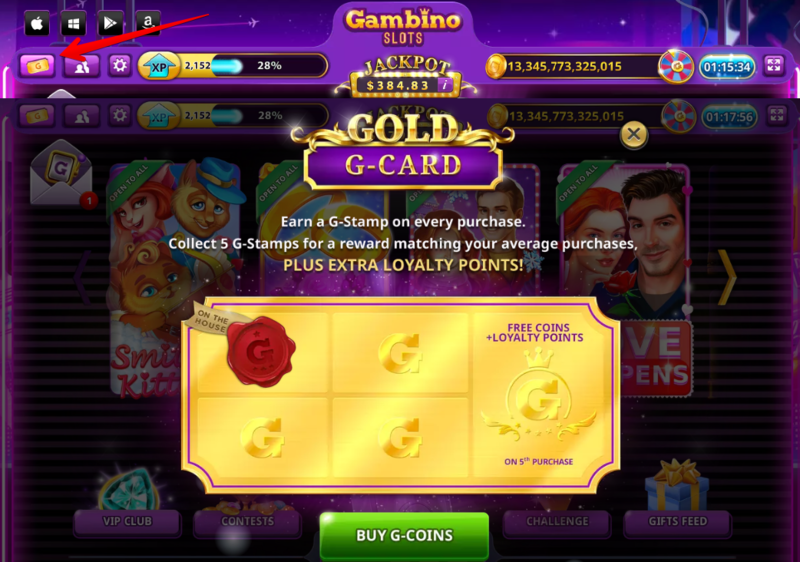 In order to express our gratitude for your continuous support of Gambino Slots, we’ve created the Loyalty Card. After every coin purchase, you will receive a G-Stamp to fill your card. You can also receive G-Stamps On The House from us during various events. These are not included into calculations. Upon reaching 5 of them, you will granted the reward matching your average purchase plus extra Loyalty Points!